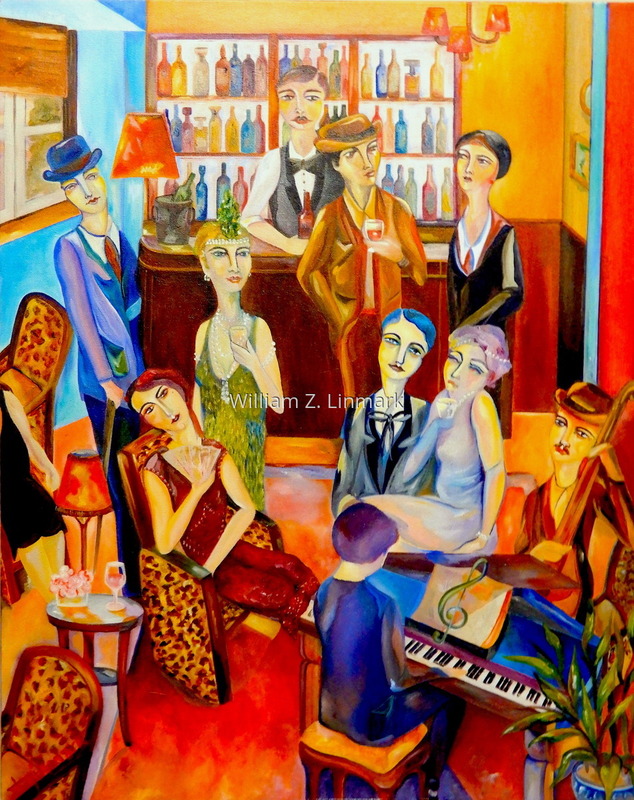 In the painting, Bar Fitzgerald, I wanted to capture the essence of a lively atmosphere where group of artists gather to celebrate. Piano Bar Fitzgerald at Hôtel Belles Rives is located along the Mediterranean coast in Juan-les-Pins in the South of France. This painting was also used as a cover for R. Zamora Linmark’s book, Pop Vérité.